I know that CPA marketers, affiliate marketers, business owners and anyone else trying to make some money with pay per click ads wants one on one coaching. They feel that it’s the best way for them to get up to speed quickly. Someone there to help them with their specific situation is definitely not a bad thing to have. However from the other side of the fence, offering 1on1 training is time intensive, repetitive and not as easy to do as offering coaching in a group format. So what’s the solution? I think I’ve got it now. The PPC Coach members only forums are designed with this very thought in mind. The only difference is that instead of having 1 on 1 phone conversations every week or day, we coach our members through the members only forums. We also put in a help desk for members a long time ago where they could get 1 on 1 coaching anytime they wanted. We’ve always offered this. We’ve also offered personal account reviews from day one, I think most didn’t even know about it though. The only thing we didn’t offer was 1 on 1 in the traditional sense. I thought long and hard about this. I made a post in the members only forums here as kind of test. 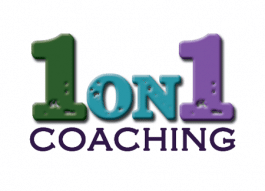 I stated that the last person to post in that thread would get 1 on 1 coaching for a year from me for free. The thread blew up. I knew people wanted it, but having done that way before I didn’t want to get burnt out again. Then it hit me, I was getting burnt out offering 1 on 1 because I was putting in the time and effort to provide as much help and value as I could BUT sometimes the person getting it wasn’t serious about it and that is what bothered me the most. So what did I figure out? Well I love helping people and if someone shows me that they are really trying, not just going through the motions or even worse, READING about going through the motions, then I’ll help them 1 on 1. So, I thought of putting in the 30 day challenge for any member. If you post what you’ve done everyday for 30 days straight then at the end of those 30 days I will give you 1 on 1 coaching via phone, skype or aim for 30 minutes. That’s just a small part of it. I also have been providing 1 on 1 advice to each member of the 30 day challenge in their own threads on the PPC Coach forums. We’ve always done a modified 1 on 1 system here, that’s not changing. We’re just adding another angle to our training. People will get 1 on 1 support from me in their own 30 day challenge thread and then a 30 minute session with me at the end of that via phone, skype or aim. My goal is to create more success stories and I know how to do it. I can show a person everything in the world, but I cannot make them do it. I also can’t stand people who join, don’t do a thing, then quit saying nothing works. That’s because they didn’t take any action at all. Well now we’ve fixed that. Show me you’re serious and I’ll be your biggest cheerleader. I’ll give you 1 on 1, but you know what, after 30 days of really trying, you probably won’t even need it anymore because SOMETHING will have clicked for you. So if you’re an action taker, who is driven to succeed and you don’t quit at the first sign of adversity, I invite you to join the site right now and let’s get going. If you’re a reader/reasearcher/armchair critic who’s never taken a chance, let alone put in a decent attempt at anything, then please don’t join my site. See you on the inside.